When Mark Hall, lead sing for Casting Crowns, wrote the song "Just Be Held," he had no idea how impactful the song would be in his own life. Mark's cancer diagnosis brought the lyrics into sharp focus. "The lesson for me, and all of us really, is to be mindful of what you say or the words you write down. God has an amazing way of using those words to remind you to rest in Him, rest in truth, and just be held." The song is included on the new live album from Casting Crowns and is a reminder to trust in our God who holds the future in His hands. 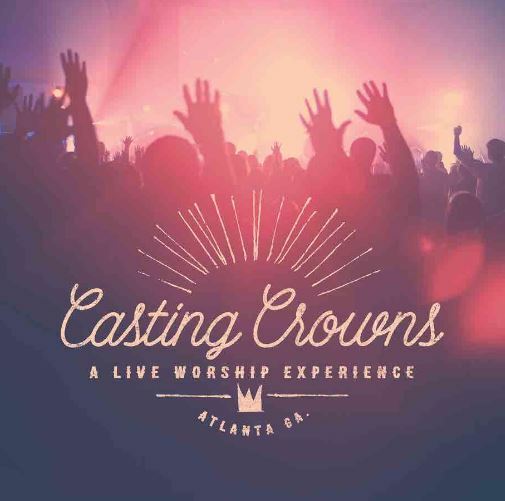 Recorded live at Casting Crowns' home church, A Live Worship Experience features a combination of the band's signature hits and today's top worship songs including "Good Good Father," "Thrive," "Just Be Held," "Called Me Higher," and more. "A Live Worship Experience" was a moment for all of us to get swept away in the beauty of worship. We are proud to share that with you and hope it will help lead you in to a time of total surrender. 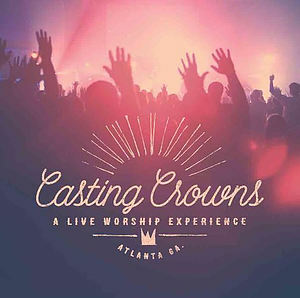 A Live Worship Experience CD by Casting Crowns was published by Authentic in November 2015 and is our 3791st best seller. The ISBN for A Live Worship Experience CD is 602341020725. Be the first to review A Live Worship Experience CD! Got a question? No problem! Just click here to ask us about A Live Worship Experience CD. Now Playing: At Calvary Your browser does not support the audio element.